Charlottesville, VA podiatrist, Dr. Samuel Schustek is this year’s co-chair of the Let Someone Fill Your Shoes campaign. Together, the Salvation Army of Charlottesville and the Charlottesville Podiatry Association have been collecting donated shoes to distribute to those in need for 28 years. During the month of January, gently used shoes will be collected for distribution at the Salvation Army on February 23rd. Approximately 30 years ago, the APMA started a National campaign for collecting shoes for the homeless. The Charlottesville Podiatry Association continued this effort through the years, now in their 29th year, collecting over 100,000 pairs of shoes. This year they plan on collecting 4-5,000 pairs. Five Charlottesville podiatrists in FASMA are a part of the association– Kevin Murray, Stewart Chang, Robert Baglio, Colleen Law, and Samuel (Sandy) Schustek. 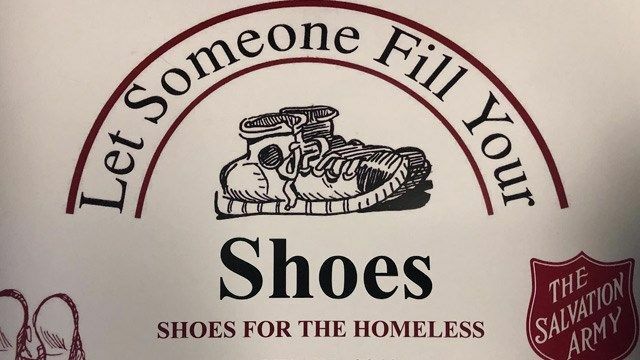 If you do not have shoes to donate, but want to volunteer, you can still help out the effort by sorting and distributing the shoes on February 23. For more information, contact Dr. Samuel Schustek at 434-295-4443.